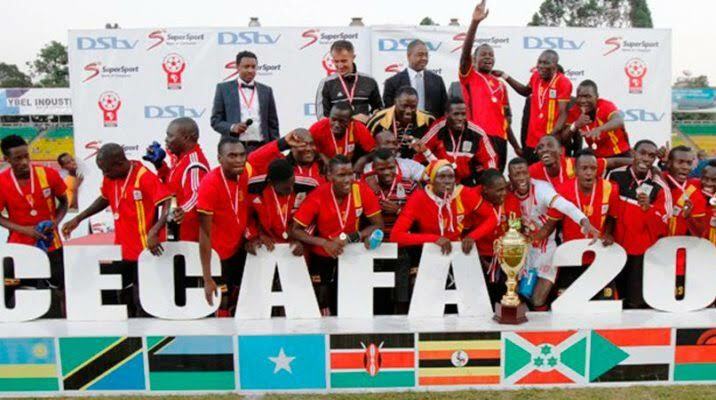 ADIS ABABA – The Council of East and Central Africa Football Association (CECAFA) has handed Uganda the rights to host two regional tournaments in 2019. This was confirmed on Monday, 11-02-2019 during a CECAFA consultative meeting held in Addis Ababa. The two championships that will be held in Uganda are CECAFA U20 and the Senior Challenge Cup. CECAFA U20 is expected to start on September 14th while the Senior Challenge Cup is poised to kick-off on the first day of December. Despite Uganda being awarded the rights to host these tournaments, the Football governing body – FUFA, is yet to respond to the matter. On the same day, Rwanda has been given the right to host the Kagame Cup which is expected to run from July 26 and Eritrea has been handed the hosting rights for the U17 tourney. Uganda are the current holders of the U20 Championships, winning both of the last two editions in 2006 and 2010. The tourney was slatted to be hosted late last year but CECAFA failed to find a suitable host and had to postpone it. Uganda has also won the CECAFA Senior men’s challenge cup for a record 14 times – 1973, 1976, 1977, 1989, 1990, 1992, 1996, 2000, 2003, 2008, 2009, 2011, 2012 and 2015. The CECAFA region houses 12 members that include Burundi, Djibouti, Eritrea, Ethiopia, Kenya, Rwanda, Somalia, South Sudan, Sudan, Tanzania, Uganda and Zanzibar.